Quirky nuns, a little bit of what appears to be magic, a bit of mysticism, what’s not to like? This endearing book is about a small (OK, tiny) community of mismatched, aging women struggling to find meaning and purpose on a ramshackle monastery in upstate New York. They are the last of their order, and have gotten pretty lax in following the rules of the order. Having spent their lives in service to a church that seems to no longer serve them, they are confused about their own futures and the future of the entire monastery. Led by Mike, the practical no-nonsense prioress, and Augusta, the grand ancient mystic hermit, they are joined by Gemma, a self-punishing novice, who believed she was sent to the convent by an angel, and Arielle, a firebrand jailhouse conversion who was sent there out of rehab by an angel as well. Augusta receives ‘instructions’ for recipes to make special teas for specific physic, emotional and physical ailments. Prioress Mike receives a notice that they are being investigated by some arm of Rome, probably with an eye to closing them down and merging them with some other order. There is consternation, and Augusta’s magical sacred teas draw the inevitable closer and closer. This story is a lovely examination young and old, franchised and disenfranchised, pedestrian and mystic. Most of all, it is a story of female empowerment as the women find the courage to confront epic challenges, creating a surprising future from the oppressive ashes of the past. It will make you smile as much as it will make you think. Ok, all that snazzy stuff about female empowerment and creating a future from the oppressive ashes of the past are not my words. You probably guessed that, right? Because whenever do I talk about female empowerment? And oppressive ashes? But nevertheless, despite the overblown rhetoric, it really is a delightful book, because who doesn’t love the idea of an angel appearing to one and giving one a destination? And magic tea? All we have here in the house is Earl Grey Darjeeling Green, and Earl Grey Citrus Black. Nothing mystical about those other than their possibly magical diuretic properties. TMI? Sorry. This is the fifth in the Matt Scudder detective crime series, out of 24 volumes, the last one being published in 2011. It was made into a movie in 1986, starring Jeff Bridges. I really liked this ex cop-turned P.I., so I will print out a list of the series titles in order and see what others I can snag. One thing about mid-twentieth century crime fiction, it all kind of has the same flavor, and I read three or four almost in a row, and now the plots are all swirling about in the mosh pit of my mind. Let’s see if I can sort out the story line of this book from the others. Plot stolen from a much better reviewer than me (somebody named Kemper, to give credit where due, since it sure as shootin’ isn’t due to me for this symopsis) slightly edited so I can feel better about my outright theft: “Still working as an unlicensed private detective, Scudder is approached by an upscale prostitute named Kim. She wants to quit the business but is nervous about telling her pimp, Chance. Kim hires Matt to break the news to Chance and gauge his reaction to see if he’ll try to keep her working. OK, enough of other people’s words. Some interesting characters here, starting with the elegant Black pimp, a connoisseur of African tribal masks, and his stable of 5 working girls with a heart of gold. One of his ladies is a not-successful poet, one is a woo woo hippie, etc. The first soiled dove to be murdered is not the last, and Chance is starting to get nervous that someone is working their way through his entire stable. Good mystery. But the almost more interesting flip side is the fact that Scudder is a recovering alcoholic, and throughout the book we are witness to his sometimes not-so-successful struggle to stay off the booze. The story is filled with AA meetings, and his musings on whether or not to drink. It is a formulaic recovering alcoholic ex-cop turned P.I. / noirish detective crime mystery, but although both halves of the book are formulaic, somehow it really works. A tribute to a good writer and story teller. 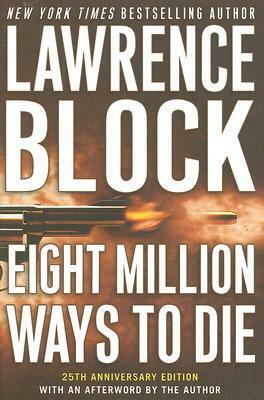 Lawrence Block is quite prolific, having churned out over 100 books. Wow. If you set yourself the task of reading his entire oeuvre, even if you read two of his books a year, it will take you a couple of years. Wow. 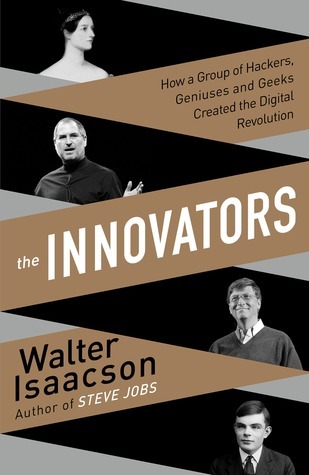 The tag line on the title is How a Group of Hackers, Geniuses, and Geeks Created the Digital Revolution. If you are interested in the history of how computers came to be, with the contributions of the women actually included, then this is the tome for you. It is a doorstop of a book, and is an overview of the history of computer science and the Digital Revolution. It is an overview. Keep that in mind. 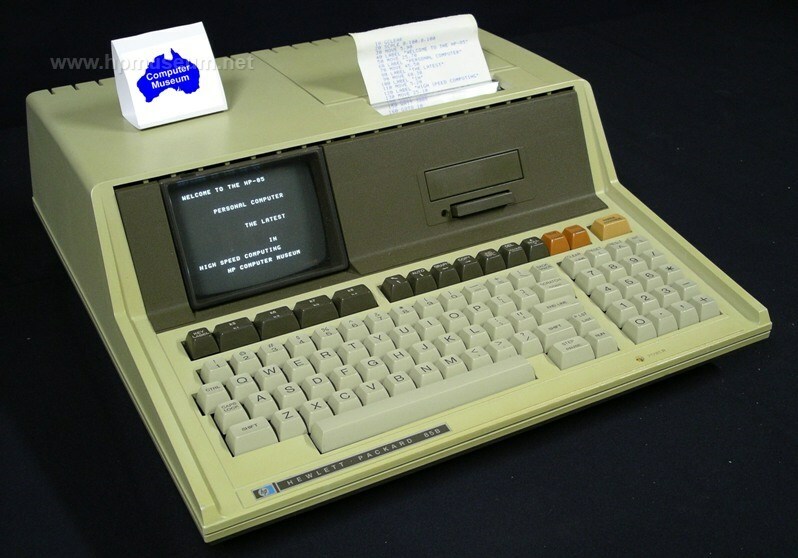 It is not a thoroughly comprehensive setting down of the minutiae of every little tiny contribution to what today we know as computers and the internet. For a non-hacker such as myself, it was enough. 700 pages of this stuff is enough. Really. But it was truly fascinating for me, since I am the kind of person who wants to put a key in the ignition of a car and have it turn on. I don’t need or want to know the history and ins and outs of the combustion engine in order to drive to Walmart to pick up some sliced turkey. I want to turn on my computer and have stuff appear on my screen without too much effort on my part. I don’t need to know the history of bidirectional information transfer. I just want to get on Facebook and write my email. Nevertheless, I really DID find it all interesting. Isaacson’s main point, which frankly he beats to death, is that computers and the internet were not invented by one lone nerd working solo in his mother’s basement. It was a collaborative effort, each advance working off the ideas of others until it became difficult to assign credit for just who was responsible for what idea. OK. I get it. The author also wrote a biography of Einstein and an examination of his theories, which I am one-third through and enjoying immensely, and he wrote possibly the definitive biograph of Steve Jobs. Also bios of Ben Franklin and Kissinger. I have the Jobs bio in the queue to read. Nerds, geeks and those who are very familiar with all the history of computers will no doubt find sebendy lebendy things to take issue with, because this, that or the other thing, issue, person wasn’t mentioned or given enough screen time, but frankly, for the lay person sitting in the congregation, it is just fine. The acolytes can find another priest to write an even MORE detailed account. 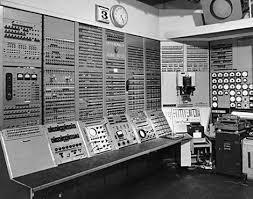 ENIAC, considered the first computer. All of this computer power is today in your cell phone. 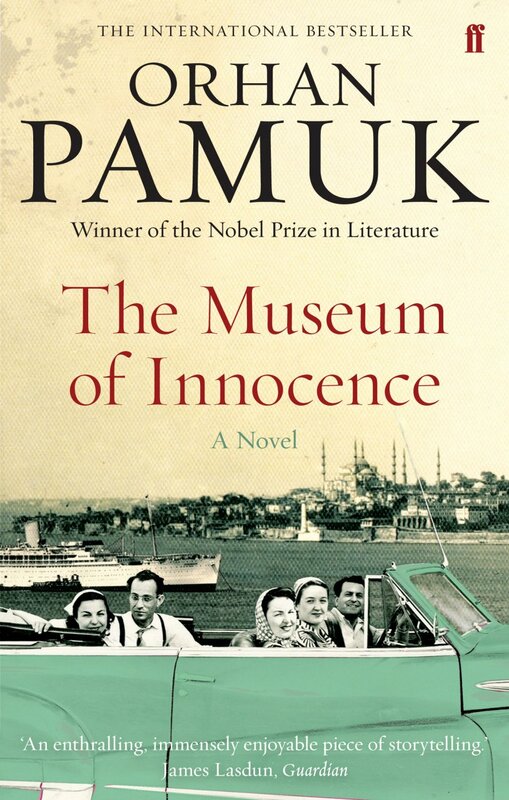 In my determination to read translated authors, because then you get a feel for other countries and other cultures, I have come to The Museum of Innocence by Turkish writer Orhan Pamuk. I was published in 2008, and set in the seventies in Istanbul, Turkey. It won a Nobel Prize in Literature. I gotta admit, I am not sure why. Oops. Wait. No. The author won his prize for other work, not for this novel. Now I feel better. I thought I was losing my ever lovin’. It is 1975, a perfect spring in Istanbul. Kemal, scion of one of the city’s wealthiest families, is about to become engaged to Sibel, daughter of another prominent family, when he encounters Füsun, a beautiful shopgirl and a distant relation. Once the long-lost cousins violate the code of virginity, a rift begins to open between Kemal and the world of the Westernized Istanbul bourgeoisie—a world, as he lovingly describes it, with opulent parties and clubs, society gossip, restaurant rituals, picnics, and mansions on the Bosphorus, infused with the melancholy of decay—until finally he breaks off his engagement to Sibel. But his resolve comes too late. For eight years Kemal will find excuses to visit another Istanbul, that of the impoverished backstreets where Füsun, her heart now hardened, lives with her parents, and where Kemal discovers the consolations of middle-class life at a dinner table in front of the television. His obsessive love will also take him to the demimonde of Istanbul film circles (where he promises to make Füsun a star), a scene of seedy bars, run-down cheap hotels, and small men with big dreams doomed to bitter failure. In his feckless pursuit, Kemal becomes a compulsive collector of objects that chronicle his lovelorn progress and his afflicted heart’s reactions: anger and impatience, remorse and humiliation, deluded hopes of recovery, and daydreams that transform Istanbul into a cityscape of signs and specters of his beloved, from whom now he can extract only meaningful glances and stolen kisses in cars, movie houses, and shadowy corners of parks. A last change to realize his dream will come to an awful end before Kemal discovers that all he finally can possess, certainly and eternally, is the museum he has created of his collection, this map of a society’s manners and mores, and of one man’s broken heart. A stirring exploration of the nature of romantic attachment and of the mysterious allure of collecting, The Museum of Innocencealso plumbs the depths of an Istanbul half Western and half traditional—its emergent modernity, its vast cultural history. It is exceedingly long, going into laborious detail of various scenes and his thought processes. I didn’t find the exploration of romantic attachment and of the mysterious allure all that stirring. After reading the storyline, you can understand my ennui in the face of yet another self-absorbed, obsessed young man who basically has too much so has to find distraction in something less than worthy. The details of life in Turkey at that time I found really interesting. The author’s descriptions of the city life, the neighborhoods, etc. were so well-served by his eye for minutiae. The endless ruminating and obsessing thrilled me so much less. I have little patience for obsession. Probably because at my age I can clearly see the pointless waste of one’s life and energies on it. The author has also written Snow and My Name Is Red. Perhaps I will give those a shot. In a small, rural 1920s farming community, two families become friends. The bored spouses of each family begin an affair that tears the two families apart,culminating in one of the husbands shooting and killing the other. It is something of a coming of age book, told in the first person by the friend of the son of one of the men in question. It is not a mystery. It is not even a mystery why it happened. 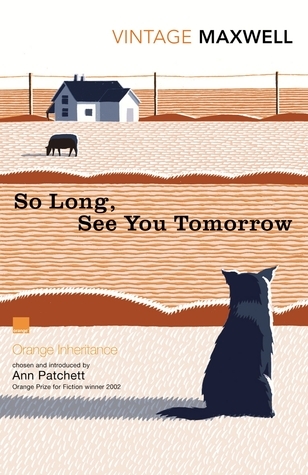 It is just a slow, sad recollection of events of the narrator’s youth, which slowly and quietly fleshes out the characters in spare descriptions, leaving us thinking of them as unremarkable parts of the unremarkable landscape. The murder affects everyone, even our narrator, because nothing can be the same after such an act, and his fragile friendship crumbles instantly away. It is about grief, and loss, and about how we tell our stories, and about memory, and how and what we remember. What we, or at any rate what I, refer to confidently as memory — meaning a moment, a scene, a fact that has been subjected to a fixative and thereby rescued from oblivion — is really a form of storytelling that goes on continually in the mind and often changes with the telling. In talking about the past, we lie with every breath we draw. Lovely book, a joy to read. David Markson was an interesting writer. He wrote The Ballad of Dingus Magee, which was made into a movie starring Frank Sinatra, three crime novels, of which this is one, and several other later novels which were rather different in style and approach to the normal narrative style. I am halfway through one of them now, and it is something of a slog, to be frank. 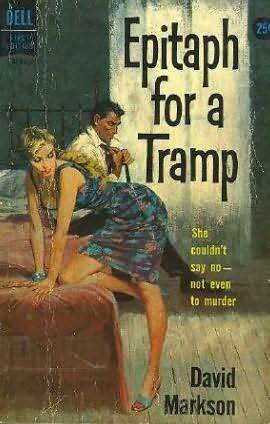 But Epitaph for a Tramp is wonderful. 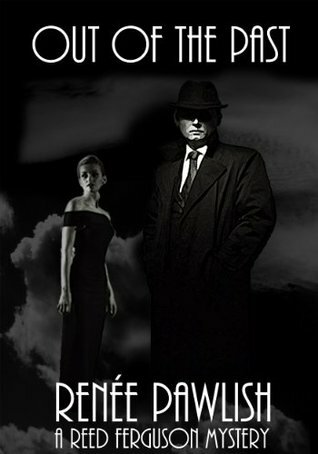 Hard-boiled 1959 noir crime novel, cleverly written, Chandler-esque in style. A couple of years ago,our protagonist, a P.I., married a chick he met on the beach, and he fell in love at first sight. They marry soon after, but sadness is on the horizon. Turns out, she is a troubled creature, finding solace in the arms of strangers whenever he is away on a case. He divorces her and carries on with his life. This is exactly why your mother always tells you to wait a couple of years before marrying, because it takes time for the real person to reveal him/herself. A year or so after the divorce, she comes to his apartment in the middle of the night, having been stabbed in the street, and bleeds out on his floor. The rest of the book is him trying to discover who killed her. It was good,– good writing, a good mystery, an interesting background story, and as usual, I had no clue as to the murderer, so I was happy with it. More and more often, these days, I only want something easy peasy to read at night before I fall asleep, because I am too close to falling asleep to read anything too heavy. Well, that’s what happens when you stay up into the wee hours of 7 pm. 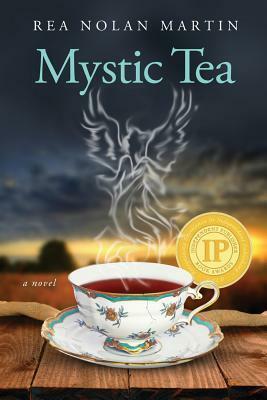 This is the fifth in an apparently endless mystery series by the Amazon #1 bestselling author. I know she is the Amazon #1 bestselling author because it says so right on the cover! She is an extremely prolific author. Once you get the basic structure down pat of a detective story, you can churn these things out by the dozens. *I* couldn’t. I couldn’t write my way out of a paper bag, so I even admire the authors who can continually come up with a new slant on the fundamentals. This is kind of a comic mystery story. Here’s the official blurb: Compelled by a dark secret from his past, private investigator Reed Ferguson takes on his most unique case yet: bodyguard for young, spoiled trust-fund baby Stephanie McMahon. As Reed tries to protect her from her father’s enemies, he gets more than he bargained for. Things are not what they seem, no one can be trusted, and the past has a way of coming back to haunt us. And when suspicious deaths begin piling up, Reed knows he might be next. With a twisting plot and film noir fun that readers have come to expect. OK, the big secret from his past is that back in his salad days, he and a few friends set up what amounted to a Ponzi scheme but soon shut it down. Only a very few people know about this. A wealthy guys uses this info (how in the world did he learn of it?) to blackmail Ferguson into bodyguarding his wild and headstrong daughter, who wants no part of being bodyguarded. But gee, a friend of hers commits suicide, another friend from her college circle dies, and the bodies start piling up. The dialog is fun, the situations are on the light amusing side, and all in all, it is a decent mystery. I almost guessed the villain of the piece. OK, not exactly, but I was closing in on it. Give a girl a break, will ya?